Whether you are looking for a comprehensive eye exam, new glasses or contacts, our Sedalia Optometrist’s and Opticians are ready to serve you! The Eyecare Specialties office in Sedalia offers outstanding customer care as well as an amazing selection of eye wear for their patients. 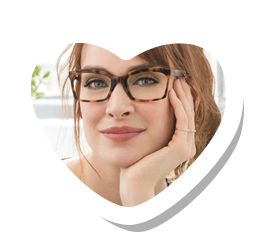 Whether you are looking for glasses, contacts or kids eye wear, the team in Sedalia are ready to help you get the perfect fit to match your needs and your lifestyle. ✔ Great eye care is about much more than a yearly eye exam or contact lens fitting, our commitment is to your overall eye health which includes guidance on reducing risk of eye disease through myopia control, blue light protection, nutrition as well as improving quality of life by reducing dry eyes and eye allergies. ✔ You don't need to travel to find professional service - it's right here in Sedalia! Urgent eye care including scratched eyes, eye infections/pink eye, stye, and something stuck in the eye. We are proud to offer advanced eye care in Sedalia, we hope you stop by and experience our commitment to quality eye care and eye wear.